Baranovsky, Anatolii [Барановський, Анатолій; Baranovs’kyj, Anatolij], b 7 February 1906 in Kyiv, d 9 November 1988. Soviet government official and economist. 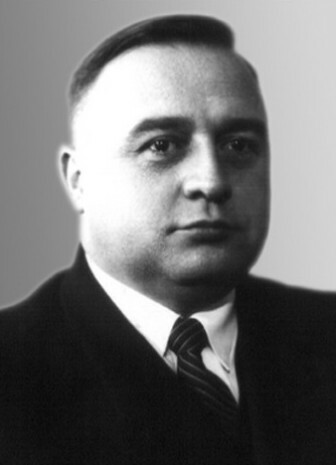 In 1940–1 he headed the State Planning Committee of the Ukrainian SSR. In 1941–53 he was vice-president of the Council of People's Commissars of the Ukrainian SSR. He was a member of the delegation of the Ukrainian SSR at the signing of Paris Peace Treaties of 1947. In 1952–4 he served as minister of foreign affairs of the Ukrainian SSR and as head of the Ukrainian delegation to the United Nations General Assembly. In 1954–7 he returned to the posts of chairman of the State Planning Committee and vice-president of the Council of Ministers of the Ukrainian SSR. In 1961 he was appointed minister of finance of the Ukrainian SSR. From 1952 he was a member of the Central Committee of the Communist Party of Ukraine. He also served several terms as a deputy to the Supreme Soviet of the Ukrainian SSR. A referral to this page is found in 1 entry.